The architectural community has a two-or-three-yearly format for exploring ideas, sharing them with the public and provoking debate. Recently, these architecture biennales and triennales, including Venice (the biggest and most influential) and Oslo this year, and Shenzhen and Chicago last winter, have questioned what architecture is and searched for new agendas. But at the current edition of the Lisbon Architecture Triennale (TAL), architecture as we know it – buildings and building them – is back. 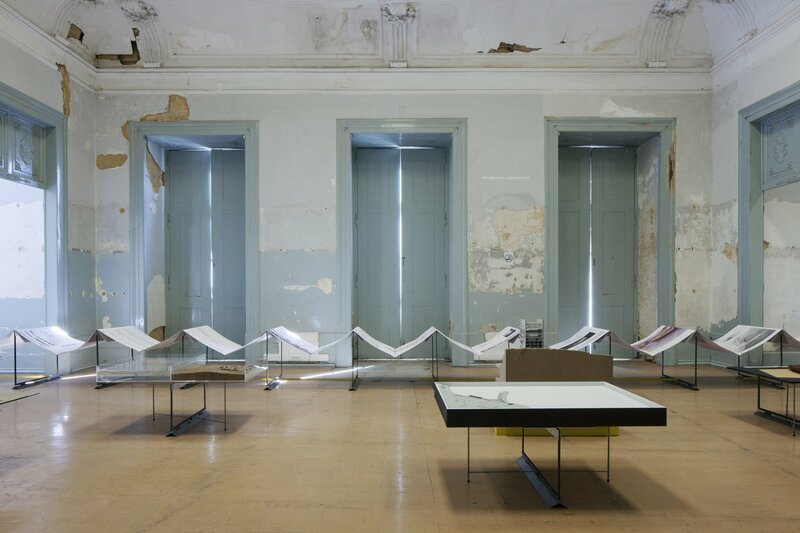 Even the triennale’s title, The Form of Form, refers to a basic of architecture – shape. As well as a programme of conferences, events and publications, TAL has four main exhibitions. 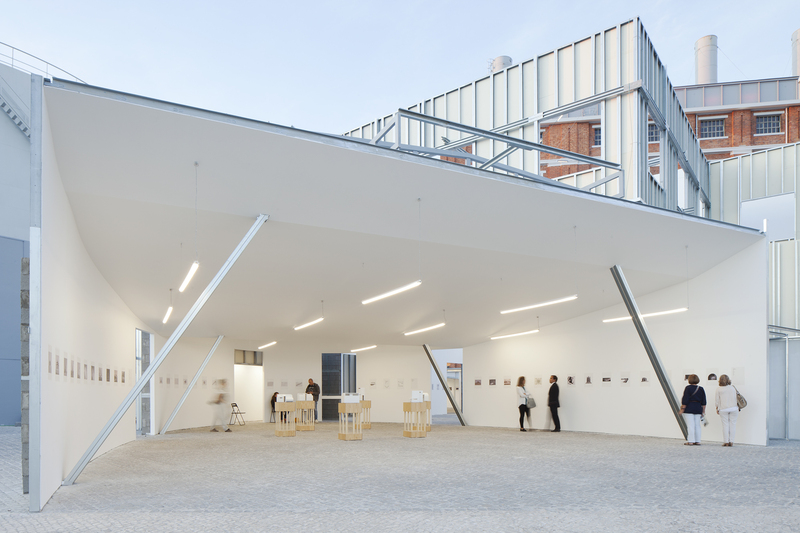 One is at MAAT, a cultural campus on the river Tagus that includes a spectacular new gallery building by British architect Amanda Levete, opened at the same time as the triennale. TAL’s exhibition is in interconnected, open-to-the-air pavilions which together form a dream-like unfinished building of many rooms. One rises three storeys with windows cut into its walls, another is open to the riverside and funnels you into the show. Each space displays pictures, plans and models of buildings, from ancient monuments to unbuilt experimental living pods. The sheer variety of forms on display reminds us what architecture can achieve. It’s a point underlined by the forms of the pavilions, designed by three different architects. This contemplative exhibition, like the whole triennale, is called Form of Form, and was curated by Diogo Seixas Lopes. He died earlier this year. 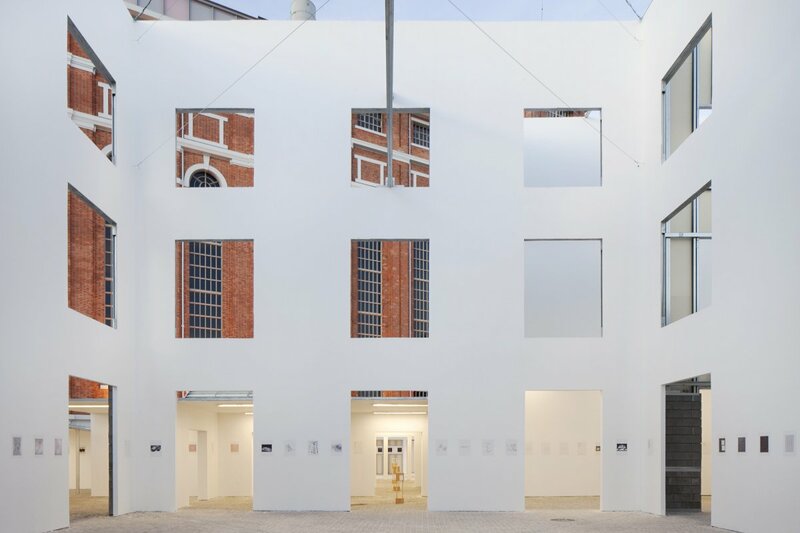 Seixas Lopes had once published a critical book (about Italian architect Aldo Rossi) called Melancholy and Architecture, and that title has a poignant echo in Lisbon for those who know of it. The other chief curator appointed for TAL 2016, André Tavares, carried on with the ideas they originally discussed together, especially that The Form of Form’s approach would be “first we design… then we build”. They had both said that their concept would allow you to “move from focusing on the architect as author and the visual legacy of architectural history, to the battlefield of the construction processes, and then keep moving to the usage and analysis of the built environment”. That last element is explored in TAL’s second major exhibition, called The World In our Eyes in the Cultural Centre of Belem. This was curated by Montreal-based FIG Projects. Various projects cover circular platforms and cylindrical drums. Data is mapped, cities and building-types are drawn, urban phenomena like sprawl are charted. A team called Cities Without Ground have mapped subterranean locations including West Kowloon and the Shun Tak Centre in Hong Kong. Rua Arquitetos have meticulously built a favela with wooden blocks, but it rises vertically around a column. This show is more a description of urban, rather than architectural, possibilities. But another show is pure architectural possibilities. Seaside Logistics shows proposals from architectural schools for the port town of Sines. Portugal is a small country but it has twice won architecture’s top award, the Pritzker – this exhibition affirms that there’s still a lot of architectural talent coming up. The venue is the grand but faded Palácio Sinel de Cordes, in bare rooms where the ghost of baroque times lingers. Venues like this are unique to Lisbon and are an enchanting alternative to the sleekness of modern galleries. Tavares himself curated the show Building Site in the world-famous art museum of the Gulbenkian Foundation. He takes seven ideas and explores each with a brilliant archive case study. For example, “Happiness” looks at British architect Cedric Price’s 1970s work on how to make McAlpine’s construction workers in the UK happier. Price named it the McAppy Report. “Time” shows models and drawings from architects OMA of the Casa de Musica in Porto, which were constantly revised during construction to meet impossible deadlines. The building opened five years late in 2005. The last section, Choreographies, projects classic film clips about girders and panels being slotted into building frames. Some are Hollywood, including a Popeye cartoon, others are Soviet. There are no words or explanations, just a cinematic celebration of the visual theatre of the building site. 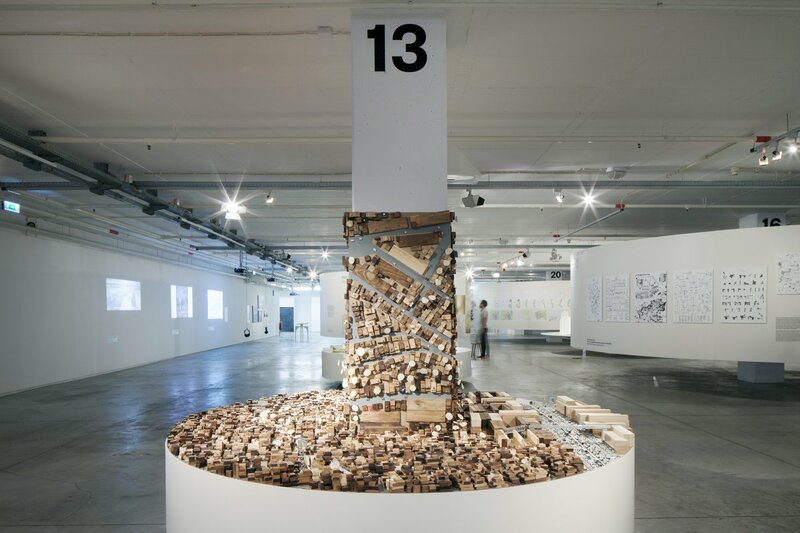 It is a brilliant end to a show that spotlights architecture’s most active aspect – construction. 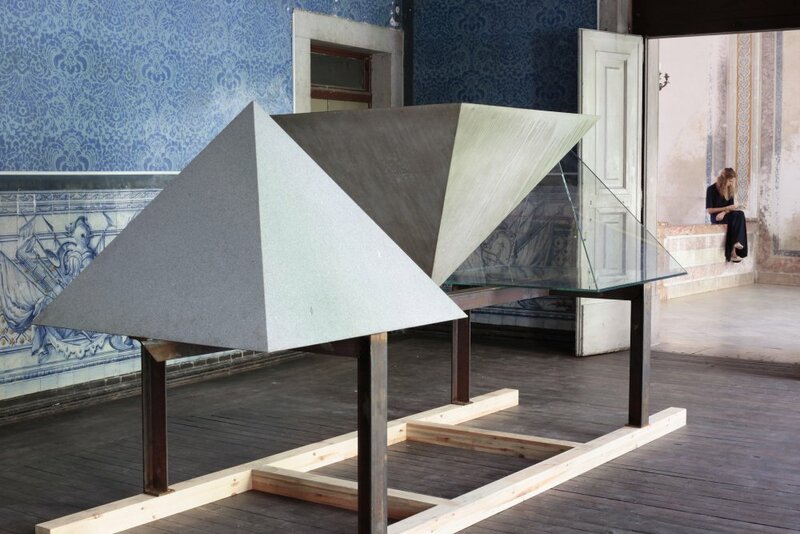 A satellite show in the Palácio Pombal displays Pritzker winner Eduardo Souro de Moura’s sculpture A Triangular Form. Three pyramids, in stone, concrete and glass, line up with a powerful and elemental effect. Their materials reference pyramids in Egypt, and by two great architects, Chinese-American IM Pei and Brazilian Oscar Niemeyer. The Lisbon Architecture Triennale, unlike other architecture shows, does not set out to dazzle you or overwhelm you with information. It is more of a meditation on timeless themes, looking into architecture’s soul. Today’s architecture often seems soulless, so this triennale is a timely reminder that it need not be.